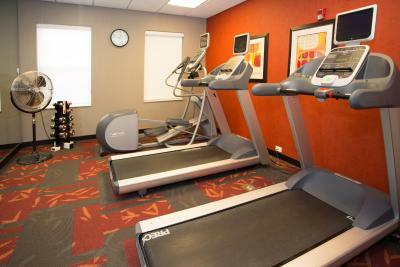 Lock in a great price for Residence Inn by Marriott Fort Collins – rated 8.5 by recent guests! 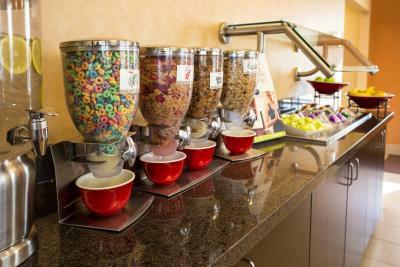 The breakfast was wonderful and there was something for everyone. The staff was very helpful and generous. 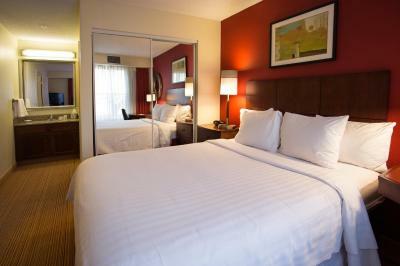 The room was clean and well apportioned for our group of six, with plenty of space. Breakfast was very good with a decent choice and nice fresh fruit. 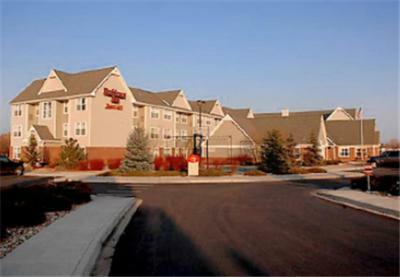 Everything was great the staff are very nice and helpful everything was very clean, and my little dog was very welcome a good place to stay away from home. 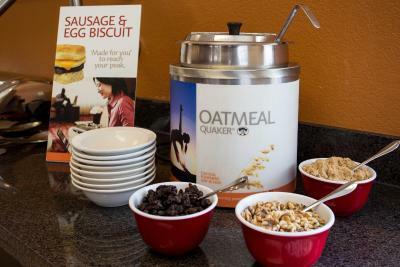 The complimentary breakfast offer foods usually not found, such as Brie, flavored Greek yogurt, and gluten-free bagels upon request. The room was nice, the full kitchen with dishes, cookware and utensils was helpful. We liked that the place had breakfast and great rooms. 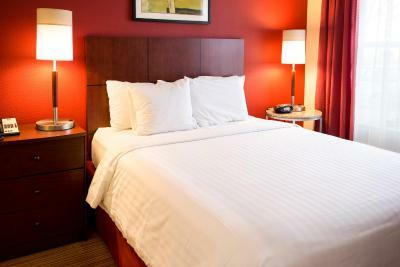 Residence Inn by Marriott Fort Collins This rating is a reflection of how the property compares to the industry standard when it comes to price, facilities and services available. It's based on a self-evaluation by the property. Use this rating to help choose your stay! 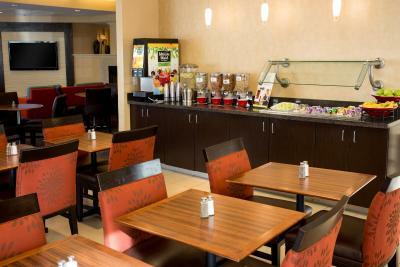 Residence Inn Fort Collins offers self-catering rooms, a hot buffet breakfast and grocery shopping services. 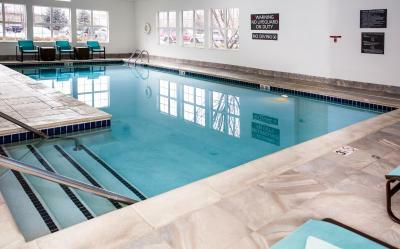 It features an indoor pool and fitness room. Horsetooth Mountain Park is 12 miles away. 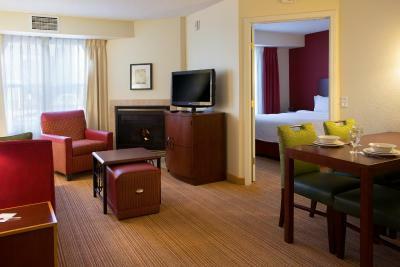 All rooms have modern bedding and fittings such as cable TV and a fireplace in the living room. 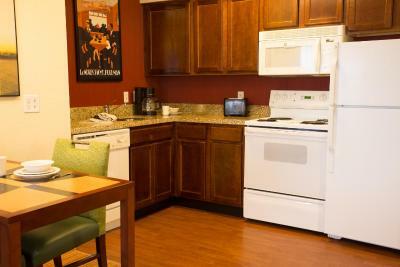 Each room has a kitchenette fitted with a stove top and fridge. 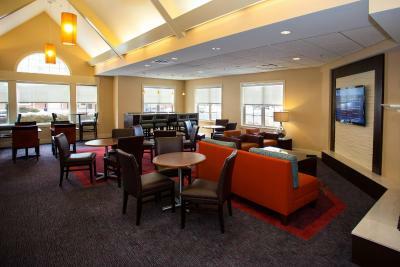 There is also a small dining area. 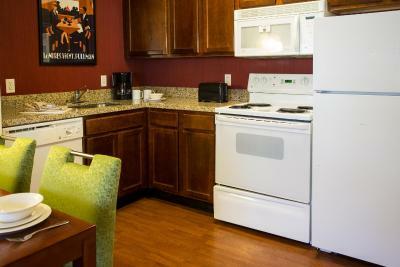 Guests can make use of the on-site laundry facilities. 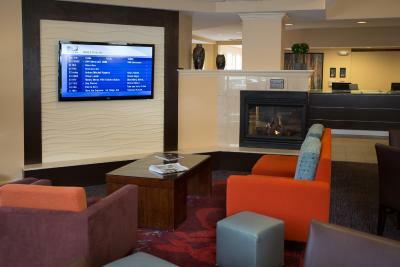 The hotel offers daily housekeeping services and newspapers are provided in the lobby. 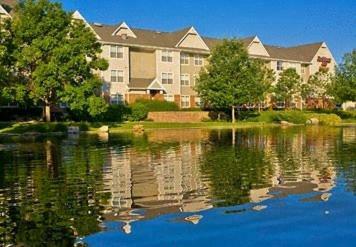 Residence Inn Fort Collins is a 10-minute drive away from Colorado State University. Foothills Mall is 2 miles away. 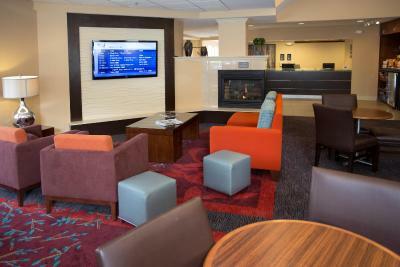 When would you like to stay at Residence Inn by Marriott Fort Collins? 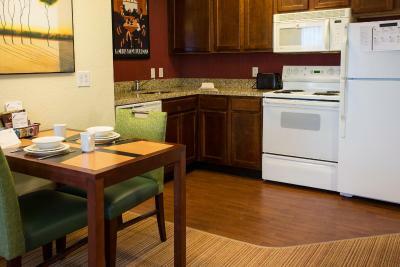 A full kitchen and dining area is available in this studio, as well as cable TV. 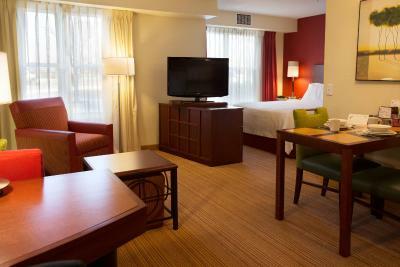 Featuring a full kitchen and 2 flat-screen TVs, this suite also includes a separate living area with a sofa bed. 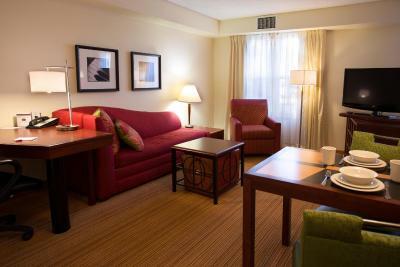 Featuring 3 flat-screen TVs and 2 bathrooms, this suite also has a living area with a sofa bed and a full kitchen. 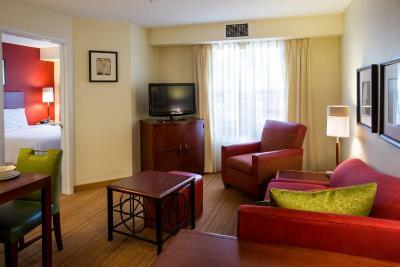 This suite features a sofa, microwave and toaster. This studio has a kitchenware, air conditioning and kitchen. 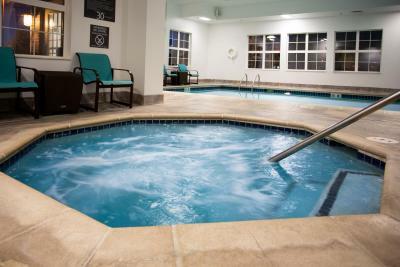 The Residence Inn Fort Collins extended stay hotel is near the Poudre River, world-famous Rocky Mountain National Park and Front Range Village. We're also near historic Old Town Fort Collins, the inspiration for Main Street USA at Disneyland. 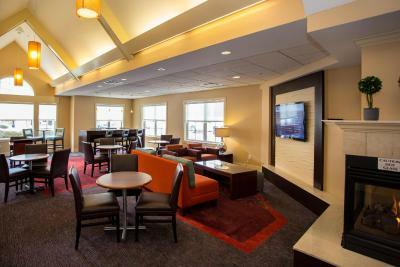 House Rules Residence Inn by Marriott Fort Collins takes special requests – add in the next step! 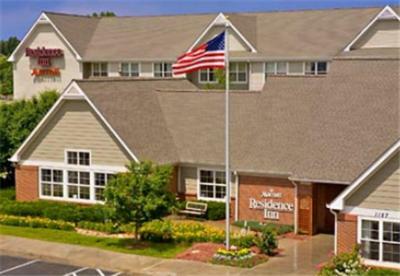 Residence Inn by Marriott Fort Collins accepts these cards and reserves the right to temporarily hold an amount prior to arrival. Breakfast was a little late the first morning. The second morning we didn't have breakfast because it was 7am and items were just being brought out. Needs more parking!!! 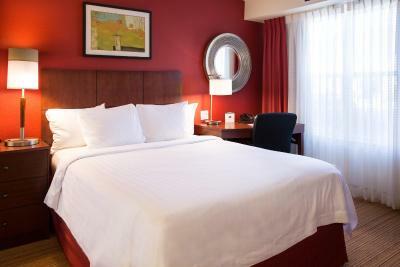 The bed was very firm, great for someone who likes firm beds but they are not my preference. It could have been my carrier (AT&T), but I had little to no cell reception. I had to drive a few blocks away to make calls on my cell phone.